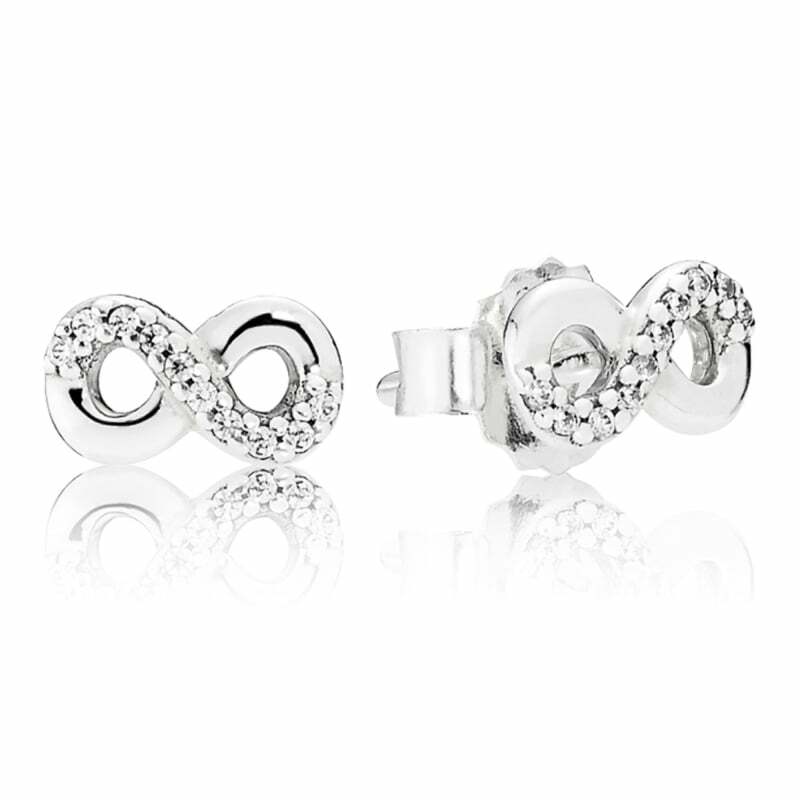 PANDORA Infinite Love Stud Earrings featuring the looping infinity sign in sterling silver. Very pretty earrings. Smaller than I expected but they look lovely. Pretty but much smaller than I expected.and I had already read reviews saying the same so I was already expecting pretty small. Great - thanks. Product was star quality, although a little small. Service perfect.